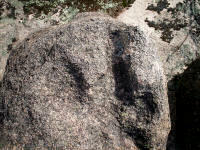 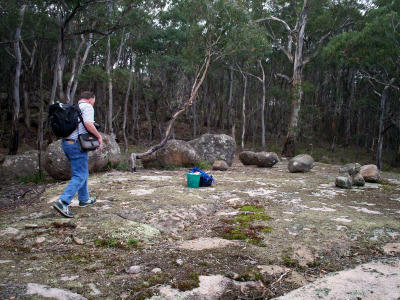 Greg uncovered the remains of a temple site at which was a large altar bearing large glyphs. 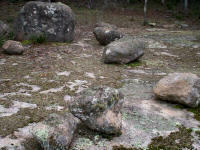 These depicted an all-seeing eye of Nim, [bottom of picture - half the image is missing] a snake image and above this, the large and small images of the sun and moon, believed to describe Nim and his sister Ara, the Moon Goddess. 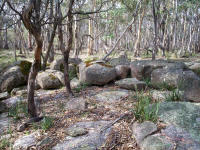 The temple overlooks a deep gully flanked by a lengthy rock wall. 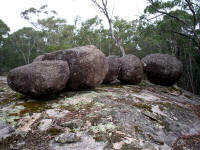 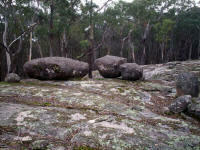 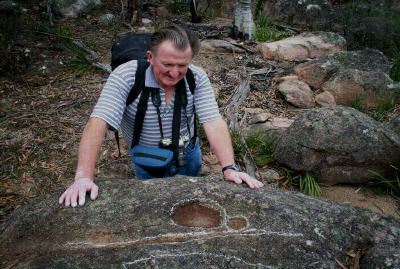 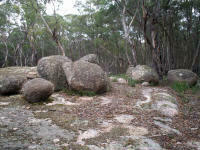 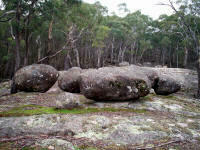 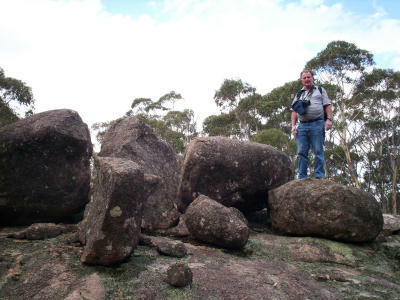 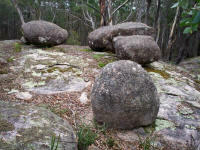 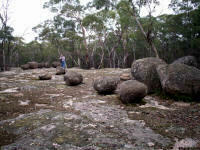 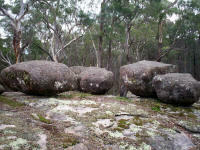 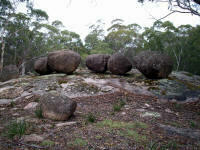 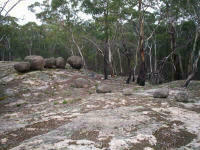 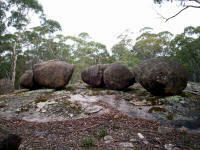 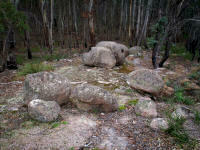 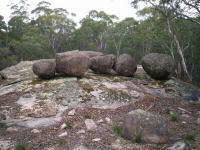 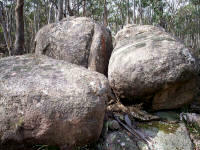 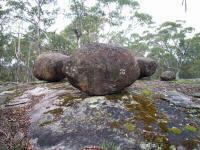 The “Lost City of Kanangra”, which the Gilroys have single-handedly measured and filmed over the past eighteen years continues to grow, with two more extensive sites added to it, one being a huge temple of crude granite stones, at which a massive assembly area, stone enclosure and huge stone head of the Sun-God, Nim was discovered by Rex Gilroy.